My friend Marci told me last week that March is National Autoimmune Diseases Awareness Month. “Taken together, autoimmune diseases strike women three times more than men.” (source) And HERE is a list of Autoimmune and Autoimmune-Related Diseases. 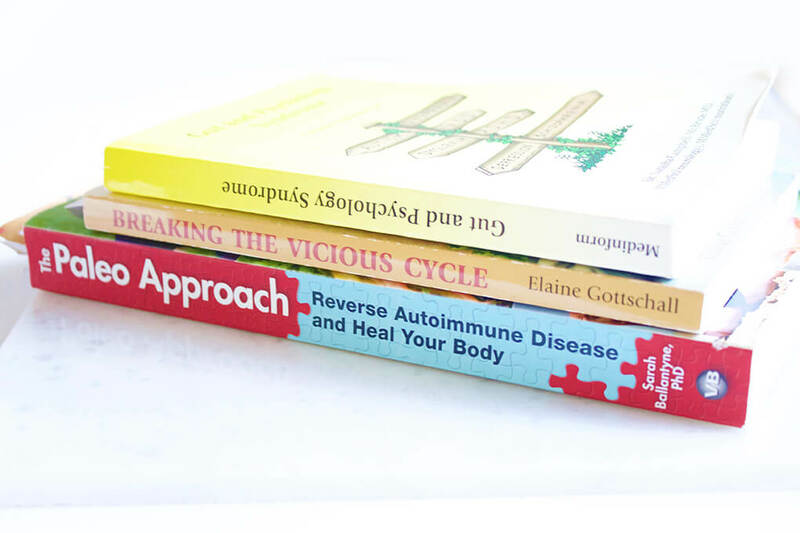 I have Ulcerative Colitis (although rarely do I feel it), and I am most passionate about helping women change their lifestyles when diagnosed with an autoimmune and autoimmune-related disease. I wasn’t sure what angle I wanted to take when writing this post for National Autoimmune Diseases Awareness Month, until these past several days when my own struggles on the wagon have been all-too-real. I haven’t done a health update in quite some time (my SIBO Status Update in August was the last time), so I figured now would be an appropriate time to share how I’m feeling, what I’m doing and other miscellaneous thoughts on living with an autoimmune disease. If you read my post yesterday, Week 5 Bigness Project, I mentioned the misery that has been since late last week. Just like the last time I took the SIBO re-test, my SIBO was triggered when I did the test this past week. Unreal! I have literally been able to eat almost anything, and rarely felt anything off in my gut for months, and months, and months. But after a few bouts of a mouth flare, we decided it might be good to check the SIBO status. I took the test on Friday, and since then, it has been horrible. Saturday and Monday I had horrible upper stomach burning. I spent a lot of time in the bathroom. Just awful. Sunday night was the last time I ate like a normal human being (which is why I think it took a good 24 hours to get out of my system). Yesterday, Tuesday, I finally started feeling good. But there’s always a price to pay…..
SIBO is not an autoimmune disease. We need to get that out of the way, so you don’t think it is. But once you have one autoimmune disease, you are much more likely to have other complications. I believe SIBO is just one of them, and in fact, the one that has hurt me physically and emotionally more than anything else. Colitis status. I don’t even know what mine is. I have Proctitis, but rarely do I ever think about it because I have almost zero of its symptoms (the beautiful part about managing autoimmune with diet and lifestyle). Around this past October (October of 2016), I obtained all test results and doctor’s notes from when I saw a Gastroenterologist (the one who did my colonoscopy and endoscopy) in 2008. At that time, while Colitis was present, it was a very mild case of it. During this past year, I’ve had various doctors tell me that I really should consider having another colonoscopy done (an endoscopy wouldn’t show anything relating to Proctitis, but if I’m getting scoped, I’d probably do it all again). I have yet to do it mostly because I’m not really sure who to have do it, but also because I don’t know how to find the time to do it. I am still trying to figure out how to make this happen. Fun fact: In Mommy Spoonie, I told you about how I went to Florida to sit on a Colitis Board. While there, I learned one statistic that just blew my mind. 55% of those with Ulcerative Colitis have Proctitis. The reason that was so fascinating to me is because while over half of those with UC have the same form I do, there is rarely any information on the Internet around stories from those who live with it, what it is, etc. Workouts. 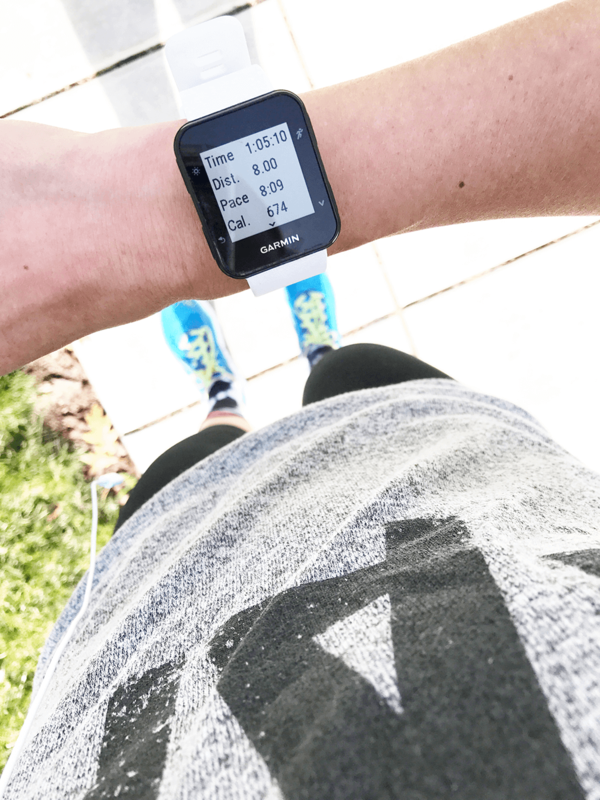 I don’t pretend in any way, shape, or form that my workouts and all this running are helping me heal. But I just can’t seem to give it up. I know that, despite not wanting to give into fear, I should probably just give it all up again for a year to allow my body full rest, but the thought of it makes me want to cry. It’s a battle I deal with daily. I started working with another doctor at the Institute where my current doctor is at. She and I are working in detail on all things hormones. Again, a low-functioning thyroid is not an autoimmune disease (unless they find out I have Hashimotos), but it’s all interrelated. Diet. Ah. The old “diet controversy.” I believe in the power of diet as it relates to living with an autoimmune disease and/or any other life-changing condition. Food is medicine or poison. This I am absolutely, 100% positive about. I could tell you about multiple experiments I’ve done to test this theory, and every single time, the point is clearly proven. I listen on as people talk about diets they’ll go on to “lose weight,” or New Year’s plans they’ll make for a healthier, fitter life. I applaud it. But do you know how many times I mention something about my diet and get an eye roll for this “craziness of not being able to eat an apple?” I only diet these days so I feel well. I started Paleoishmama to share this journey, but the truth is that any time a flare is happening, I’m eating 100% strict based on what I know is right for me. More healing. Today I’m headed to Expo West 2017, and I couldn’t be more excited (totally looking for all the things AIP, Paleo + FODMAP-related for you + me!). There is nothing more challenging than traveling with an autoimmune condition. 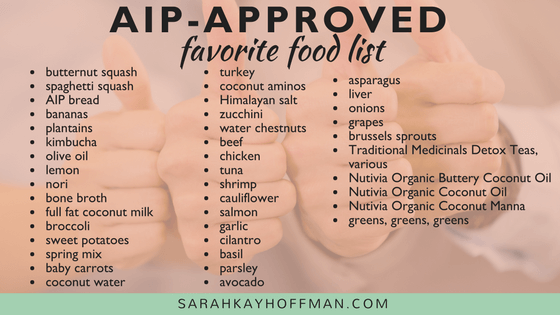 It is almost impossible to be on my A-game at all times because rarely am I in full control over food choices (yes, I always have a choice, but if I’m hungry, I’ll always choose something over nothing). Once I’m back, I’ll continue digging deeper. I fully believe that because of my advanced health and healing knowledge combined with crazy desire to live well and be well, I am, on the whole, extremely well. I continue on the journey because it’s my journey, and I continue collecting knowledge and investigating everything I quite possibly can so that I am able to help not only myself but thousands just like me. When gravel roads are all you’ve ever known, you learn to find beauty in the dust. GAPS vs AIP vs SCD. 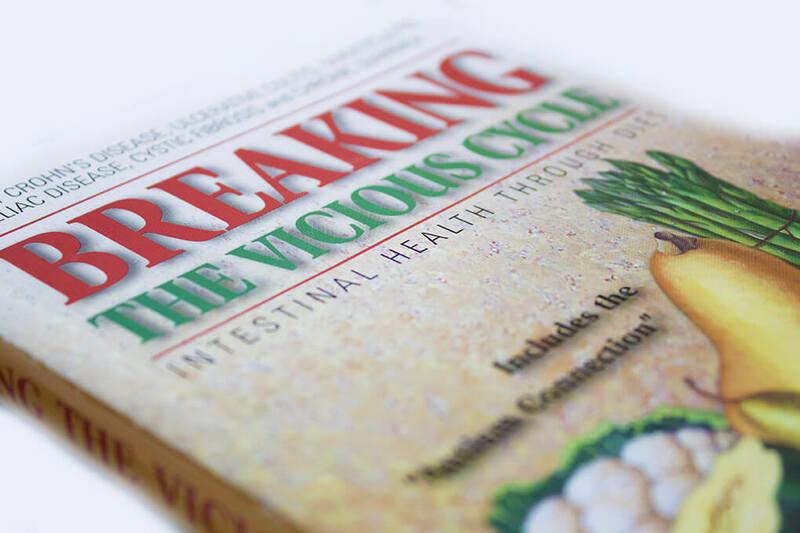 How do you know which gut healing protocol to follow? 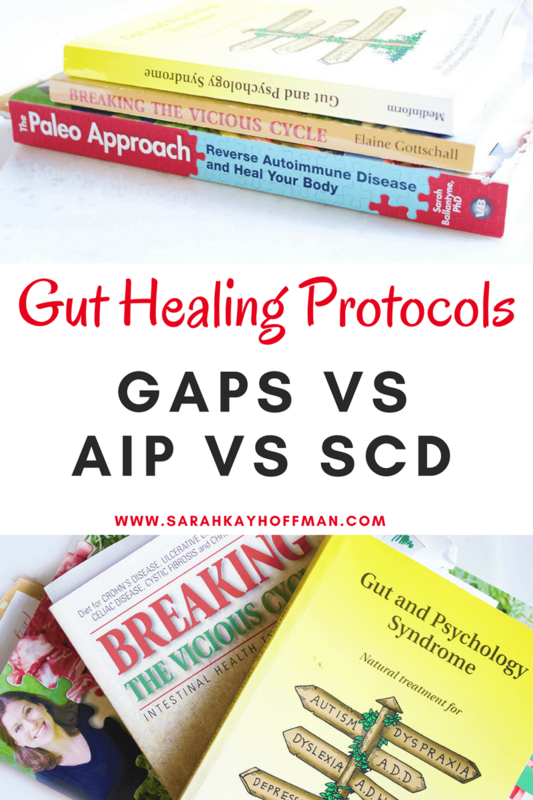 GAPS vs AIP vs SCD…..which one is right for your gut healing journey? A reader recently emailed me about the three protocols. She wanted my thoughts on which would be best to address her chronic food intolerances, poor digestion, chronic constipation, hormonal issues and just generally poor digestion and absorption. Here is a brief overview of each, to help get us started. 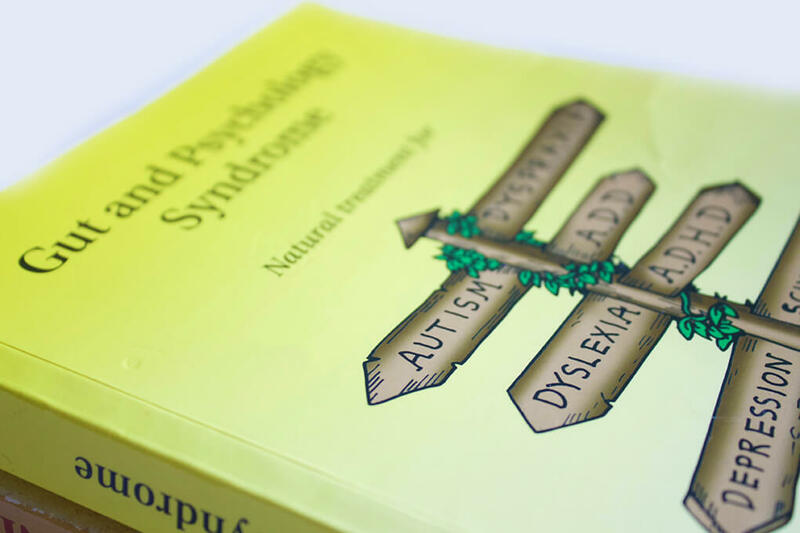 GAPS Resources: Gut and Psychology Syndrome Diet, GAPS Guide, GAPS Diet, and other places on my blog I’ve written about the GAPS Diet. This book, by Sarah Ballantyne PhD is, by far, the best and most comprehensive of the 3. Seriously….killer! 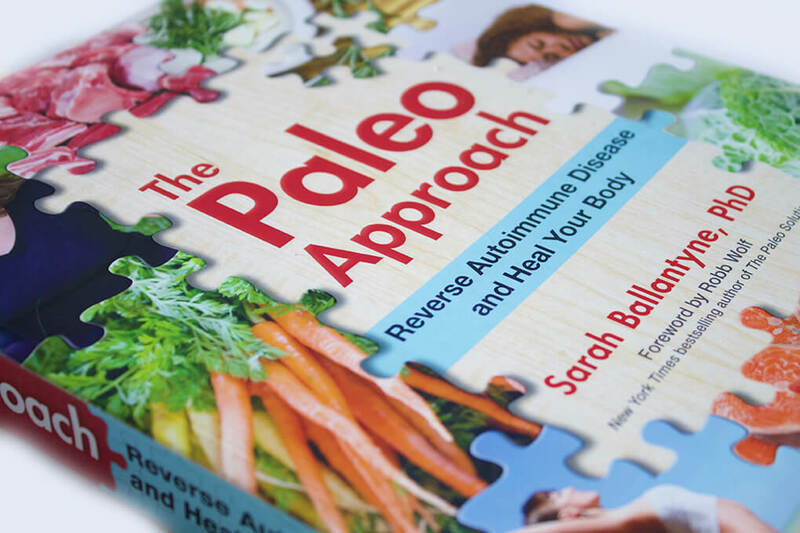 AIP Resources: The Paleo Approach: Reverse Autoimmune Disease and Heal Your Body, The Autoimmune Paleo Cookbook, and other places on my blog I’ve written about AIP. 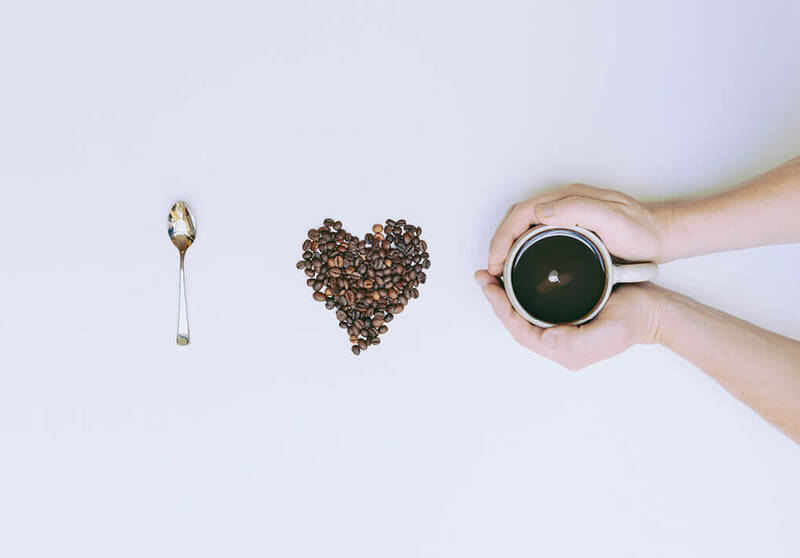 SCD Resources: Breaking the Vicious Cycle: Intestinal Health Through Diet, Specific Carbohydrate Diet, SCD Lifestyle, Pecan Bread, and other places on my blog I’ve written about SCD. 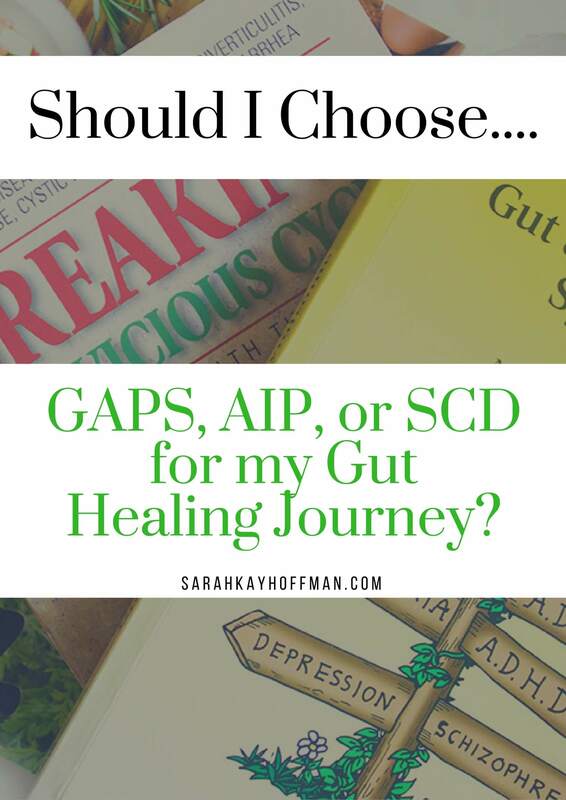 Should I Choose GAPS, AIP, or SCD? You will hate my answer, but I have to be honest: It depends. In 2009, when I began my healing journey and my gut was the worst it had ever been, I went on the GAPS Diet, strictly, for a very long time. I stayed on the Intro Diet for a short while and instantly felt better. As I got better, though, I didn’t move in an appropriate manner to new GAPS stages. Ultimately, I ate too little, with too few nutrients, for too long that it lead to “adrenal fatigue” and hormonal problems. I got worse (my gut got worse) again and was also diagnosed with SIBO, which is an illness where a strict GAPS, SCD, and/or AIP just would not do. To make a long story short, what I learned during these past 8+ years about diets, healing and following any one protocol is that they simply do not work. 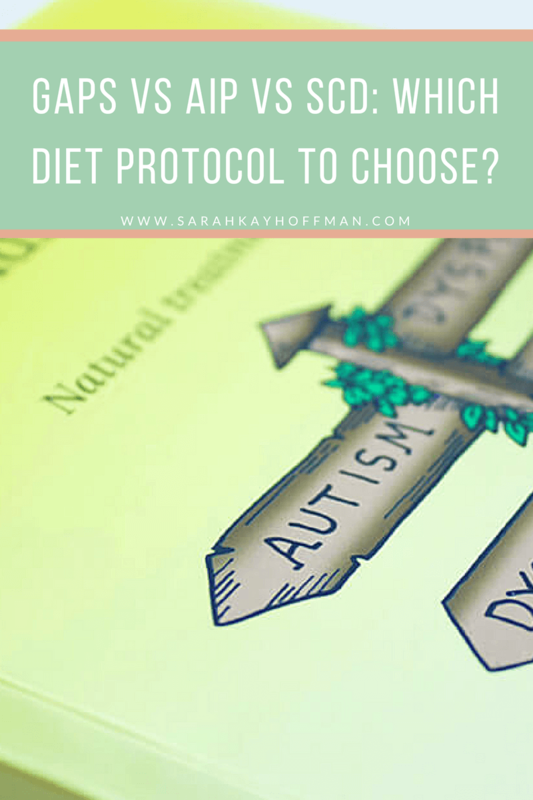 You can, however, take the diet healing protocol that *best* first your current circumstances (with the understanding that these circumstances can change quickly), and then 100% customize it for you. This is what I help my clients do on a daily basis. 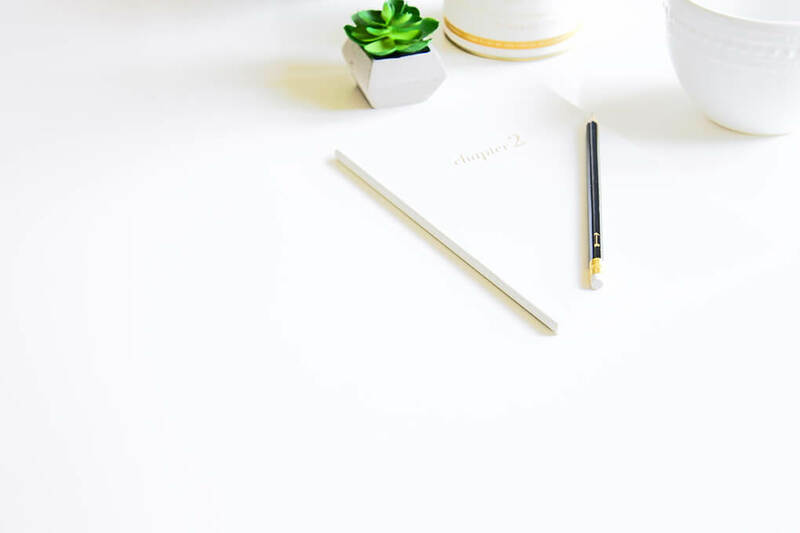 I put together 5 questions that you should answer in order to start honing in on what might be best for you. What have you been diagnosed with? Note: I said diagnosed, not guessed by Dr. Google. Are you not active at all, somewhat active, or very active? Start where you are, make the best possible decisions, do what you can, and get ready to reap some real benefits not merely dictated by any one diet protocol. And if you need help customizing? I’m here. Questions about any of them? Have you tried any or all of GAPS, AIP, SCD? What are your thoughts on GAPS vs AIP vs SCD? I have been trying to fit a circle into a square peg for a very long time, but now I am just too tired to workout. Little-by-little in my life, I am starting to relinquish control. It might take the rest of my life for me to tell these stories, but also, little-by-little, I promise I will (here or in my book, Gravel Roads). If you have followed my blog for a long time, you will recall me saying, several times, how I believe that my deep love for vegetables and all the “healthy” foods was sort of wasted on me, since for a very long time I could not process them. I didn’t want to solely survive on meat, broth, and fats, but from time-to-time, that’s all my body is able to take. Over time, I grew to accept and work with it. Today, it’s all very normal and second nature for me. I never knew that one day I would have to develop a similar relationship with working out. I love, love, love being active. I know what the runners’ high feels like. Lifting weights makes me feel empowered. Pushing my body to its limits leaves me feeling alive. But I have failed to admit to myself for a couple years now that almost every single type of workout leaves me absolutely drained. I have finally hit that place in my life where I am truly saddened by the lack of what I am able to do physically. Up until recently, I didn’t get it, until one day when it hit me like a ton of bricks. I kept walking, and all I could think was about how I wished that was me, running and running and running, and feeling only that type of exhaustion. I am currently battling with this – big time. This is not something I can ever describe to 99% of my friends, family members or acquaintances. 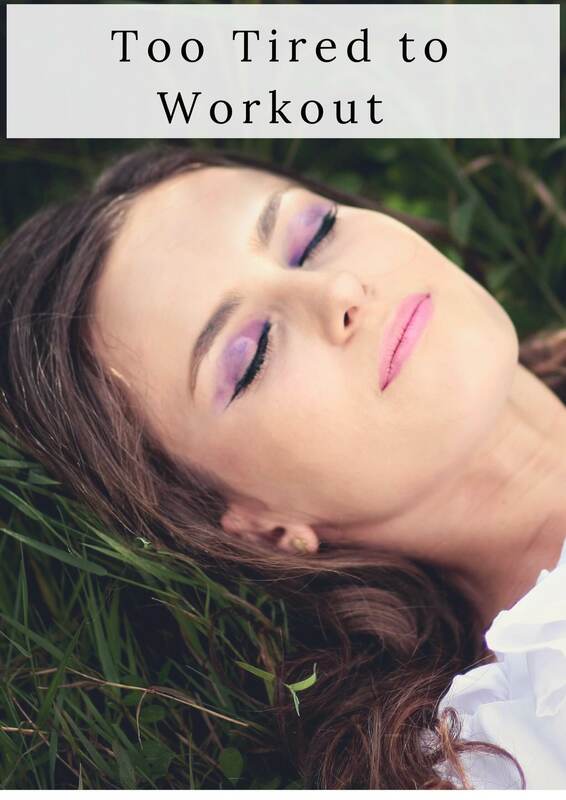 When I workout in the morning (even if it’s just a 20 minute harder workout), I am drained all day unless I am able to nap for 1-2 hours (which obviously is not doable anymore). And if I wait to workout until night time, I have used up most of my spoons for the day, so I don’t have any energy left. So I did. I brought the workout gear and got in a hard 15-ish minute workout. On our drive home around 3pm, I felt like a dead weight. Almost instantly I fell asleep until arriving home about an hour later. You see, I worked out that morning because I knew I only had to take care of myself that day. No babies would need me, and I was craving a workout. The irony? Several hours later, I couldn’t even take care of myself I was so tired. I never, ever, ever, ever wanted to find myself here. Ever. I absolutely hate that working out and being active was, just like the “healthy” food, wasted on me. I see people doing their hard workouts, hitting new PR’s, registering for races and doing all the things I used to do and, in fact, crave doing daily, and I want to cry. I stick to just 10-15 minute workouts, at my house, in our garage with the gym Ryan and I started building. I stop reading blogs that are predominately focused on fitness. I formulate my own opinions about workouts, intensity levels, and the appropriate balance instead of listening to what anyone else thinks about it. I focus on other things that bring me joy. I don’t attempt to research any new races or fitness competitions. And finally, I look the other way. Because this has not been easy for me. Last week I made an appointment with a hormone specialist. I pray we get to the bottom of it because I’d really love to feel alive, vibrant and excited about fitness again. But for today, I am just too tired to workout. 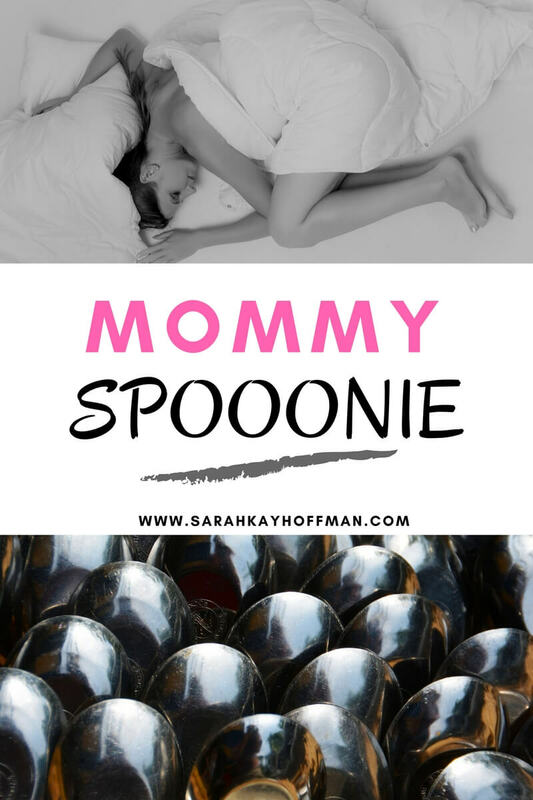 I am a mommy spoonie, and I thought I’d share a little about it with you today, now that we are becoming such great friends. Note: I debated whether or not to write this post. I went back-and-forth inside my head about if I should. In the end, I kept typing for myself and then hit “publish.” My fear for publishing it was that people might mistake fatigue for weakness. The post shows vulnerability through the reality of fatigue, not weakness. If you spent one day at our house with me, you might never even see the fatigue I feel. Keeping all of this in mind….here you go. When I was in Minnesota for my grandmother’s funeral, my aunt who is super blunt, said to me, “You have big bags under your eyes. Are you tired?” Ah, God bless her heart. She is my favorite! Ever since, I have had these little daily reminders about fatigue. I have no idea how, but up until very recently I had never heard the word spoonie. Have you? The Spoon Theory was written by Christine Miserandino. Christine has Lupus, and The Spoon Theory was a post she wrote and concept she explained about what it’s like living with an autoimmune condition. The post is fantastic, and you really should just read it, but the sum of it is that “normal” healthy people are given an unlimited amount of spoons each day. Those with an autoimmune condition or other illness are not. 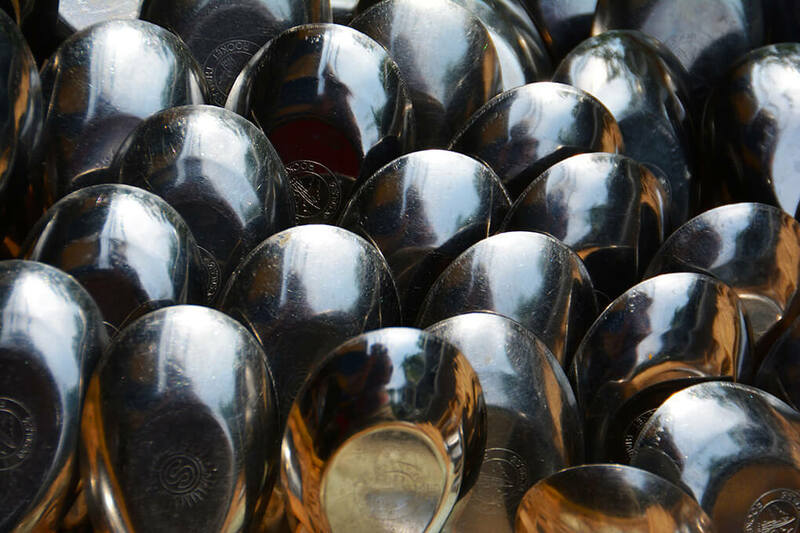 We are given a finite amount of spoons, and each action we complete depletes one of those spoons. Sooner or later they run out. I was in Florida recently, sitting on an Ulcerative Colitis Ad Board. Everyone there lives with Colitis like I do and so, for a few days, it was refreshing to be with other people who “get” living with the disease (and, by the way, other gut issues and illnesses as well). I got up at 4:45am the day I left Florida to head for the airport. I felt like a zombie because I had not been sleeping well. While sitting in the airport, I couldn’t help but think about living with extreme fatigue and being mommy spoonie. I have been tired my entire life. I was the child growing up that wanted to be in bed early. I rarely did late-night partying in college, and if I did, I paid for it dearly. These days, I crave going to bed when the babies do, but I am now filled with immense guilt around doing so since there are so many things I should do then. 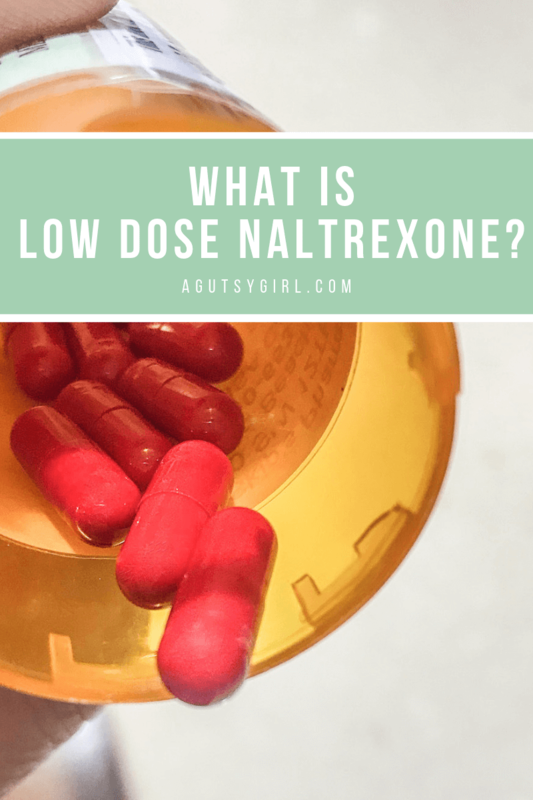 Shortly after we got Samarah, I was diagnosed with severe adrenal fatigue, and even after working on it, the next time I tested, my levels had dropped even more. I literally have almost completely bottomed out on my cortisol levels and DHEA. Here is my most recent test. Yeah, that’s me in the orange. 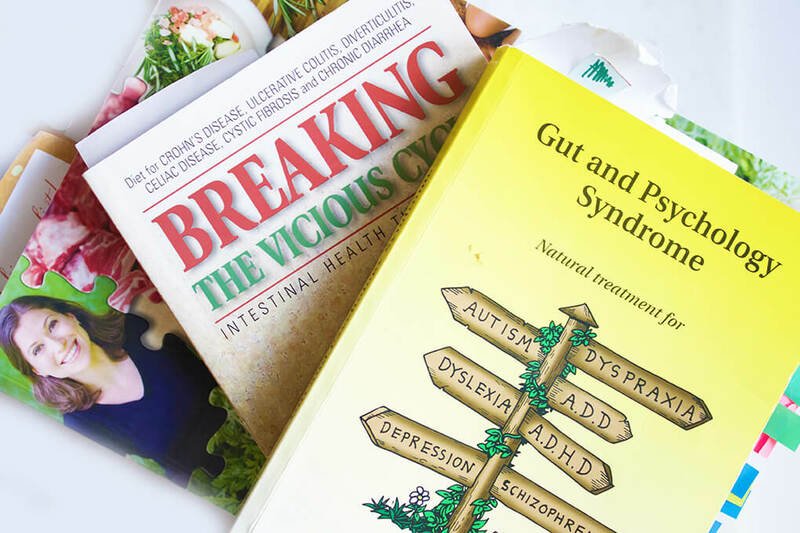 Simultaneously, I was diagnosed with SIBO, and because it had gone undiagnosed for so long, I had been completely robbed of many nutrients, including B12, causing even more fatigue. I took B12 belly shots for awhile, but I haven’t done them in quite some time. In so few words, I know exactly what Christine was saying because I feel this daily. As a mother, I battle with all the things any healthy mother does, but as a mommy spoonie, I always wonder if I’m enough for my babies given that feeling drained is not something I’m sure is ever going to go away. I am constantly in a fight with myself. I want to do all the things, but my body says, “No, stop. Just stop.” My mind tells my body it can, but then, like clockwork, my body takes over. At the beginning of each day, I think that this is the day when I’ll have that supermom energy. Shortly into the day, though, that energy dwindles. I am currently carrying the baby in my Ergo almost all day long or holding her in my arms because these are the things both she and I prefer. When I get all the babies up from their naps, I carry Amiya in one arm down the stairs, Isaiah in the other. Samarah still wants me to carry her down the stairs when she wakes up, so I drop one baby off at the bottom of the steps, and run up to quickly grab her. If I haven’t told you yet just how much I love our babies, I do. I really, really, really do. But my spoons are eaten up so quickly these days. Because I am a “healthy” mommy spoonie, I am able to do many things, but the difference between me and a normal healthy is that I might look well when I am not actually all that well. My SIBO is currently in remission (with symptoms here and there every now and then), but I haven’t felt bloated in a very long time. All the while, I still feel the drain, exhaust, and fatigue. I’m going to have some new tests done, re-do various levels of things, and try to hone in on the root of this. I recently learned that you can not show Proctitis symptoms, but if the condition is inflamed then energy levels tank. I might also bite the bullet and figure out how to undergo another Colonoscopy (it’s been years). If I didn’t have children, my motives would be much different than they are now. But I do have children. Three children. Three children all three and under that I adore, and that really need their mommy to have more spoons than she does now. But I do, quite literally, give to them almost every last spoon I have. And no matter what, I always will. p.s. Yesterday I received a private message from someone I don’t know who wanted to “ask me a few health questions.” She wondered when I was available. I gave her this link to grab some time with me. She responded, “Sorry, I was just wondering as mom to mom talk, not health coaching. I’m just trying to gain knowledge.” I instantly let guilt take over me. I felt I owed her something. But that something would have been time and hence a spoon or more. Time and spoons that I would have to take away from my babies or clients who pay me in order to raise my babies. I give a lot of myself, but I am now starting to realize just how important these spoons are to hold close to the vest for the things which matter most.